Rooftop solar will soon get major subsidies directly from the pockets of Utah power customers thanks to a settlement between the solar industry and Rocky Mountain Power. Currently Rocky Mountain Power is forced to buy excess electricity from homes with rooftop solar at over three times the cost of other power sources. Utah’s Rocky Mountain Power customers could end up paying more directly for power generated by their neighbors’ solar panels, under the terms of the company’s recent settlement with the solar industry. The settlement has been praised for preserving, at least for now, most of the financial credits that customers with rooftop solar arrays receive from Rocky Mountain Power when they generate surplus electricity. Solar industry leaders and other clean-energy advocates cut the compromise deal with the state’s largest utility in an effort to replace an earlier Rocky Mountain Power proposal. Advocates feared that plan to introduce a three-part billing structure for solar households had the potential to halt the industry’s growth. But the fine print of the new agreement — which hinges on how solar residential customers get reimbursed under what is called “net metering” — also includes a provision letting Rocky Mountain Power to pay those power credits with money raised by increasing the power bills of all Utahns. The settlement’s authors say the charge is only temporary and would amount to a few cents on customer’s monthly bills at most. But representatives from the few groups opposing the settlement argue it is unfair to non-solar customers. “Utah customers will have to pay additional charges that would not exist in the absence of the [settlement],” Steven Michel, chief of policy development for environmental group Western Resource Advocates, wrote in testimony submitted to Utah’s Public Service Commission. And yet, Michel said, there is still no evidence that Rocky Mountain Power needs this income to cover the costs of services associated with residential rooftop solar arrays. The state Public Service Commission (PSC) is set to review the settlement later this month. If the current terms are approved, solar customers who have signed up for Rocky Mountain Power’s net metering program before Nov. 15, 2017 will be grandfathered into the utility’s existing pay-back program for nearly 20 years. That would bring them credits on their bills worth about 10 cents per kilowatt hour of surplus power their rooftop panels generate. Those who sign up after that deadline will be considered “transition” solar customers. 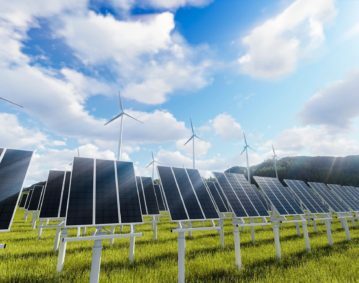 For the next three years, they will receive a credit worth a little over 9 cents per kilowatt hour of surplus power. Rocky Mountain Power argues it could buy solar power on the open market for just 3 cents per kilowatt hour — were it not for a state law that effectively requires the utility to buy its residential customers’ surplus power at a higher rate. So, under the proposed settlement, to recoup those added costs from paying above market rates for electricity, Rocky Mountain Power would be allowed to charge additional fees to all its Utah customers — in effect, some argue, forcing non-solar customers to subsidize higher prices paid to solar customers. Those charges would be applied to customers’ power bills via something called the Energy Balancing Account, a mechanism previously allowed by state regulators to let Rocky Mountain Power add surcharges to customers’ power bills when it gets hit with unexpected expenses, such as a sudden spikes in the cost of natural gas for its power plants. Rocky Mountain Power spokesman Spencer Hall said it makes sense to use the Energy Balancing Account to charge these new fees because the amount of surplus power that residential solar panels generate tends to fluctuate and is difficult to predict. Hall said if the Public Service Commission approves its proposal, customers could start seeing solar-related charges on their bills as early as May 1, 2019. Not surprisingly, Utah consumers and businesses have mixed feelings about the deal. In principal, the national Consumer Energy Alliance, which advocates for power customers, said it opposes policies that shift costs from private power generation onto utility customers who do not have solar panels. But James Voyles, policy counsel for the Washington D.C.-based group, said its Utah members haven’t come down strongly on either side of the recent settlement. Some of Utah businesses within its ranks approve of the new charges, Voyles said, while others oppose them. Others involved in closed-door negotiations that produced the settlement declined to discuss its details, including the proposed use of Energy Balancing Account charges. Western Resource Advocates, which participated off and on in the settlement talks but ultimately did not sign on, declined to discuss the charges, referring instead to its written testimony submitted to the PSC. Clean air and energy advocates at HEAL Utah, one of the parties that did sign the agreement, called the Energy Balancing Account provision “concerning.” But the group declined to discuss the issue further. Sara Wright, executive director of Utah Clean Energy, another party to the settlement talks, said that the new charges weren’t meant to be permanent and would be reconsidered in coming years. “It’s not a done deal. It’s not permanent forever and eternity,” she said, declining to comment further. The state Office of Consumer Services has also signed onto the settlement. Its director, Michele Beck, said parties to the settlement do not all agree about whether households with rooftop solar panels actually cost Rocky Mountain Power more money than other customers. But, Beck said, the compromise will allow the new charges only temporarily, until a new study of Rocky Mountain Power’s rates is completed, sometime around 2020. Technically, Beck said, the utility’s customers already pay for net metering credits through their power bills, just not directly. But by assigning a specific monetary value to those credits, the proposed settlement lets Rocky Mountain Power apply those costs to power bills in a more direct way. An Arizona couple is questioning the practices of a solar panel firm that installed panels on their home without their knowledge or permission. The firm’s practices lead to an audit by the IRS that cost the couple more than $11,000. Fraudulent firms like Clean Energy Systems create problems for customers looking to install solar. PHOENIX – A Valley couple says their roof is covered with solar panels that they can’t use. David and Marcy Edwards say the panels were installed in 2014, but that they never actually signed up for them. Wife Marcy says she didn’t sign up for the panels, but few weeks before the panels were installed, her tax preparer asked if they would be interested in getting solar. “I said yeah we’d be interested in doing that and then I never heard anything from anybody,” she says. With no agreement made, and no contract signed, they moved on. Then one day without warning or a contract, the panels appeared and they say they had no idea who they belonged to. “I was kind of waiting on someone to come by the house and say well here’s your bill or let me know we’re the company that put this on your house or something,” he says. He says that wouldn’t happen for another year and a half. “I have a note that was put on my door by a gentleman and he said Mr. Edwards we’ve been trying to get ahold of you so you can get this solar turned on for you,” he says. David says the company, Clean Energy Systems, wanted him to sign a lease for the panels. He refused, asking for the panels to be taken down and his roof repaired. He says he went back and forth with the company without a resolution. The couple found that the solar company had a relationship with their tax preparer, and according to the IRS, so did they. He says they got a notice that the company was being audited for 2013 tax year. But that wasn’t the only surprising news. They too received a letter saying they were personally being audited, for a $250,000 loss from the partnership. “I think I told him, ‘You’ve got to be kidding $250,000?’ He wasn’t kidding,” Marcy says. The couple says it went back to the place where their taxes were prepared, Heritage Tax Services in Sun City. “They would not respond, they would not answer his calls, they wouldn’t answer his messages so he finally went there and got a copy of the return from them,” Marcy says. They say the return they got from the preparer showed a loss of $71,000 not $250,000 that was on the documents that the IRS provided. The Edwards say both returns showed that they received a refund of more than $11,000 but that they only received about $3,000. The Edwards had to pay back more than $11,000 to the IRS despite saying they only received a $3,000 refund. Scafetta confirmed that he is not a CPA or tax attorney. Clean Energy Systems and owner Charles Kirkland did not return our calls but the company is fighting a tax adjustment imposed by the IRS. The solar panels on the Edwards roof are no closer to being taken off or turned on but they say they hope they can help prevent others from making their mistakes. “I think it’s pretty unfair and I hope it doesn’t happen to anybody else,” Marcy says. 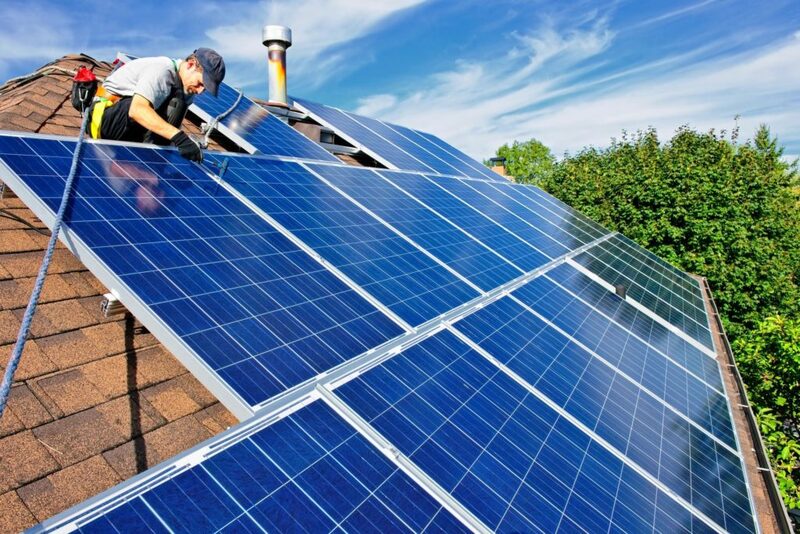 Mandating solar panels on all new rooftops in South Miami will make housing less affordable. This costly mandate will hurt the future of the community by increasing home prices by more than $16,000. Taking away choice from consumers will have major implications for the future of rooftop solar. Residents and local officials in cities around the country are concerned about housing affordability. One such city is Miami, where even upper-middle class people are feeling squeezed by high housing prices. Two big factors affecting housing prices in Miami and other expensive areas like Southern California are strong demand and land-use restrictions that make it difficult to build new housing. One recent report by two apartment trade associations concludes that Miami is the 4th toughest U.S. city in which to build new apartments, in part due to its land regulations. 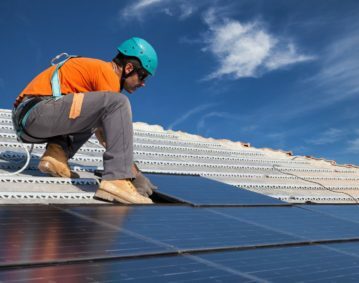 Cities also add additional mandates that increase construction costs, such as South Miami’s new ordinance that requires solar panels on all new residential construction. South Miami’s mayor, Philip Stoddard, is a fan of the ordinance and lauds its environmental benefits. But while it may reduce carbon emissions, it also makes housing more expensive. According to energysage, the average cost of a solar panel system in Miami is about $16,000 before any government subsidies, a significant expense and just over 5% of the average construction cost of a single family home in the United States, according to the National Association of Homebuilders. Affordable housing starts with affordable construction. Every municipal building mandate that prioritizes some other goal—e.g. the environment—over lower costs pushes adequate housing further out of reach for many lower-income people. Cities don’t need to abandon building codes that mandate a basic level of quality, but they should consider the affordability tradeoff that accompanies mandating some other goal not related to shelter or safety—no matter how worthwhile that goal may be. Supporters of the solar panel ordinance also note that using solar power generates energy savings in the long run. But it can take approximately 11 years to recoup the upfront costs, and for some this might not be a worthwhile tradeoff. A similar argument applies to appliance efficiency standards. Like solar panels, appliance efficiency standards designed to help the environment promise lower long-run operating costs for a higher upfront price: For example, pay $42 more for an air conditioner in order to save $7 over ten years. 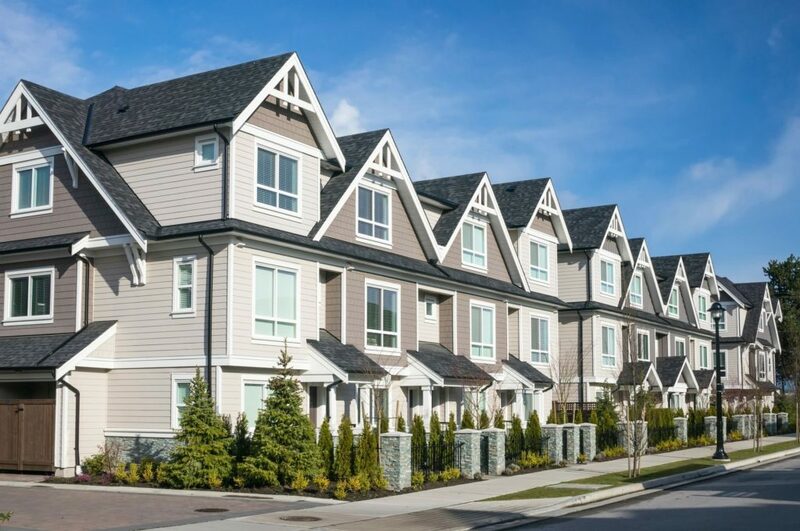 For the environment’s sake, municipalities could mandate that all apartment units be outfitted with the newest and most efficient appliances rather than the older models typically found in many lower-priced apartments. Luckily, I’m not aware of a city that has done this, but as a policy it’s similar to South Miami’s solar panel mandate and would also make apartments more expensive. More building is the solution for the affordable housing problem, but the building needs to be done in a cost-effective way to ensure that the final product is actually affordable. This means cities should allow housing of various types and quality, both with and without solar panels. Micro units, trailer parks, tenement-style housing and accessory dwelling units are all viable options for people looking for affordable shelter, even if they don’t meet some idealized image of what a home should be. After several fires in the UK were linked to solar panels, the British government is now investigating the safety of panels being installed in the country. Representative of the solar industry points to faulty installation as the cause. Make Solar Safe urges governments to implement minimum safety standards for installing solar panels to keep homes, businesses, and first responders safe from fire hazards. Fire risks posed by solar panels fitted to thousands of British homes, schools and businesses are being investigated after international warnings over the panels’ flammability. The Building Research Establishment (BRE), a government fire safety contractor that is conducting tests on cladding after the Grenfell Tower blaze, is examining instances of solar panels catching fire and is due to report initial findings at an industry meeting this week. About 80 firefighters fought a blaze at a new block of flats in Bow, east London, last Sunday in which the solar panels appear to have caught fire. The cause of the fire is being investigated. A blaze last month at a block of flats in Thornton Heath, south London, is also being investigated after solar panels and cladding caught fire. Orbit, the housing organisation that owns the block, said an initial investigation indicated the fire was caused by “an overheated solar panel”. Over the past five years solar panels have also caught fire on buildings such as Hove Town Hall in East Sussex in 2015, a Nottinghamshire primary school in 2014 and a Devon hotel in 2013. There are about 920,000 solar panel installations in Britain, with no minimum fire safety standards for those placed on fire-resistant roofs. Systems with a low fire rating that are built into roofs must be at least 65ft from a boundary wall. Italian research published in 2015 found that in Italy and Germany over a two-year period there had been nearly 700 fires involving solar panels. Fire tests for the study found that ethylene vinyl acetate — a material commonly used in the panels — appeared to be “a rapidly combustible material releasing gaseous fuels . . . once degraded thermally”. Few fires in Britain have involved solar panels and the BRE said there is no evidence to suggest the risks are greater than with other electrical equipment. It adds, however, that evidence is emerging of potential fire hazards and its website asks for UK cases to be reported. Chris Roberts, who chairs a working group of the Microgeneration Certification Scheme, which provides quality assurance for renewable technologies, said he considered the regulations robust but that they would be reviewed in light of the BRE research. Read original article at: https://www.thetimes.co.uk/article/solar-panel-blazes-ignite-safety-fears-60mvb3265? More and more consumers are being targeted by fraudulent solar companies trying to take advantage of the growing market. Putting adequate protections in place at the state and local level can prevent companies from trying to take advantage of consumers who want to install solar on their homes. Solar energy may be the power source of the future, but it already has become one of the fastest-growing consumer complaints. Misleading sales tactics about solar energy was flagged as one of the problems to watch in the latest survey by the Consumer Federation of America and the North American Consumer Protection Investigators. Florida was one of 23 states with consumer protection agencies that participated in a study of the top consumer gripes in 2016. As the solar power industry grows, so could consumer problems. The most common complaints received by the agencies dealt with autos, on such issues as misrepresentations in advertising or sales, lemons, faulty repairs, leasing and towing disputes. Ranked second was shoddy home construction and improvement, including contractors who failed to start or complete a project. Consumers also complained about utilities, such as installation issues, service problems and billing disputes with phone, cable, satellite, internet, electric and gas services. Consumers’ other top complaints involved false advertising by retailers, credit disputes including mortgage fraud, misleading claims about health products and services, landlord/tenant disputes, problems with household goods, deceptive Internet sales and misrepresentations by home solicitors. The three fastest-growing complaints were fraud, cable, phone and internet services, and health services. New problems in 2016 that cost consumers money included passport services that accepted funding then disappeared, web sites that post mugshots of arrested people and then charge a fee to remove them, crowdfunding investments that didn’t pan out, identity thieves who gave low-income and homeless people free phones to collect their personal information, and mortgage companies withholding insurance funds from flood victims. 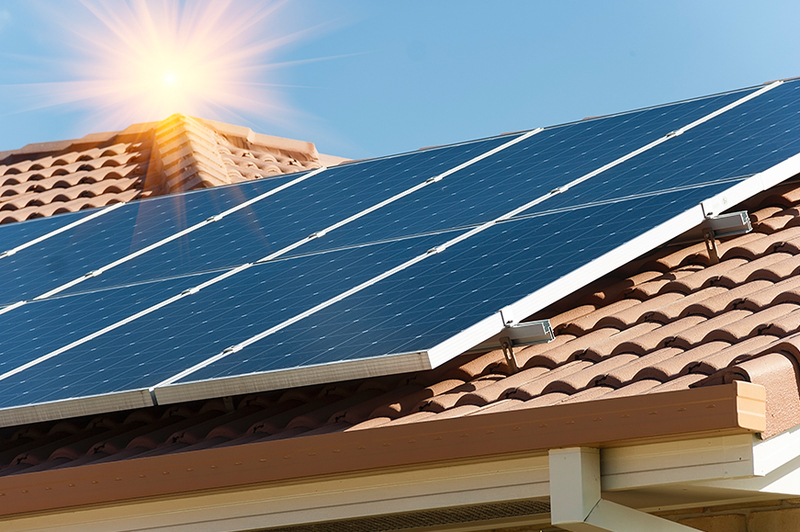 Consumer groups are asking the Federal Trade Commission to investigate deceptive practices by fraudulent solar installers that take advantage of customers looking to install solar on their homes. Common practices include misleading marketing, using contracts with confusing language, and false claims to actual energy savings. 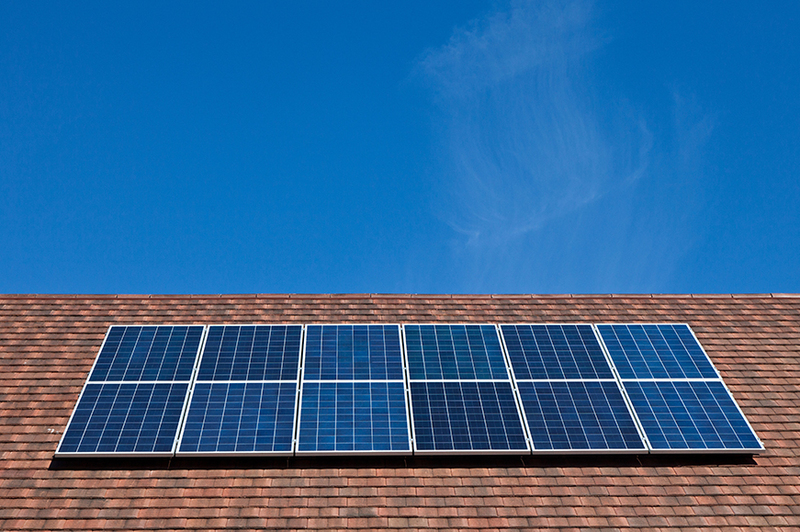 Consumers should be protected from companies trying to take advantage of the demand for solar. 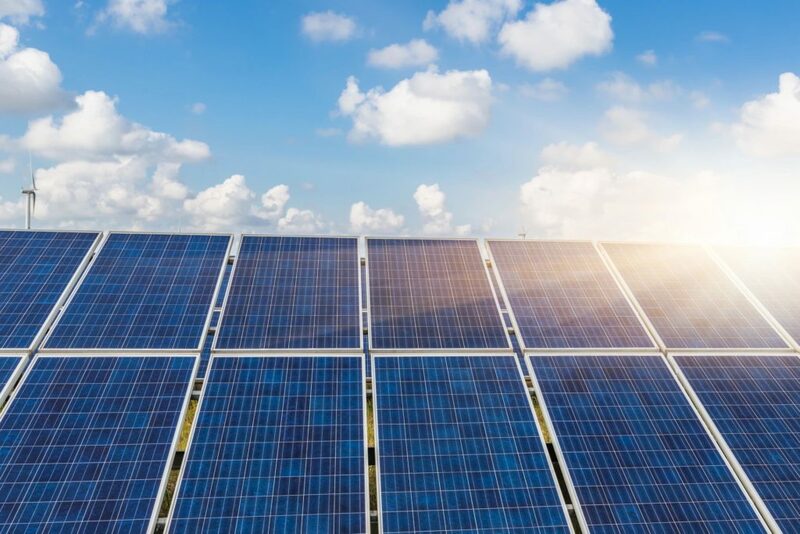 Campaign for Accountability asked the Bureau of Consumer Protection at the Federal Trade Commission (FTC) to open an investigation into companies that offer residential solar panels. 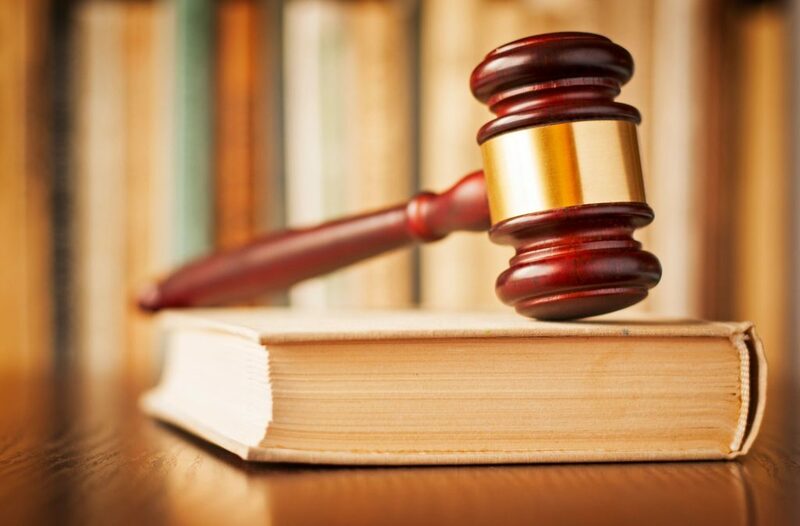 A review of consumer complaints filed with FTC reveals many of these companies have engaged in false and misleading acts in the marketing and sale or lease of solar panels, in apparent violation of the Federal Trade Commission Act. Last summer, the FTC hosted a public workshop about consumer protection issues in solar energy. Representatives from Consumers Union and the Massachusetts Attorney General’s Office, among others, recounted emerging problems such as contracts that contain confusing wording about energy tax credits, consumers unable to sell or buy homes that have solar panels installed, and false promises of savings on utility bills. In the wake of these developments, CfA submitted open records requests to several states and the FTC to examine consumers’ concerns. CfA requested complaints submitted between 2012 and the present pertaining to the sale or leasing of solar panels and their installation on the roofs of customers’ homes. CfA reviewed more than 1,200 complaints released by the FTC. The complaints reveal a widespread pattern of apparent fraud and abuse by solar companies. Consumers detailed how the companies deceived them about the true costs of installing solar panels, lured them in with low price quotes that later proved to be false, required them to sign confusing contracts, and promised energy savings that failed to materialize. These tactics appear to violate the Federal Trade Commission Act, which prohibits unfair or deceptive acts or practices in or affecting commerce. SOUTH MIAMI, Fla. – When South Miami residents and businesses presented concerns during a recent commission hearing that the proposed ordinance mandating solar requirements will make South Miami more unaffordable, the Mayor and Vice Mayor refused to address concerns; instead, the commission doubled down on the argument that South Miami was unaffordable. While rising property values are creating an affordable housing crisis, the City of South Miami Commission is attempting to pass an ordinance mandating solar requirements that threatens many of the community they were elected to serve. The ordinance will mandate up to a $25,000 expense on all new houses, townhouses and many remodels within city limits making South Miami even more unaffordable and unattainable. 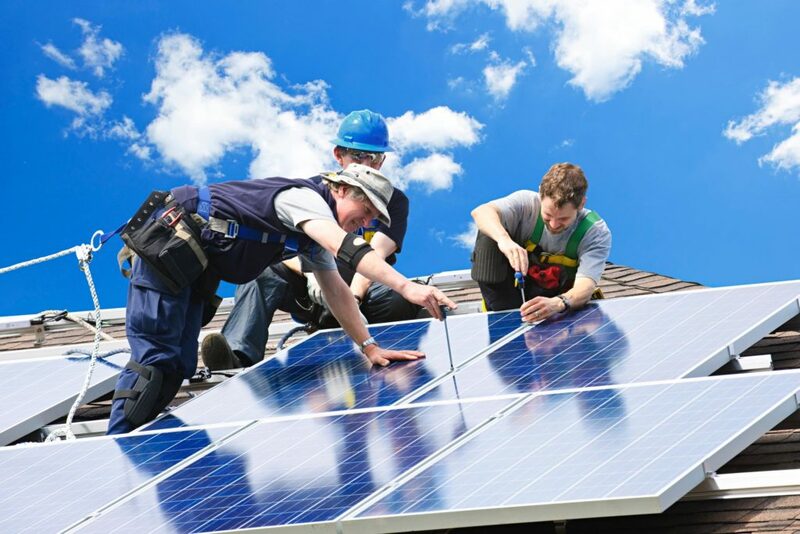 It is imperative for the South Miami Commission to weigh the legitimate economic concerns of South Miami residents before hastily imposing a poorly thought out mandate for homeowners and home builders to put solar panels on homes in South Miami. The local chapter of Family Businesses for Affordable Energy (FBAE) raised suggestions of ways to amend the ordinance to account for affordability that the South Miami Commission and Mayor Stoddard have largely ignored. Full letter submitted to the commission is below. South Miami is already one of the most unaffordable communities in South Florida and city commission’s efforts to mandate solar will make it even more unaffordable. At the very least, residents should be adequately consulted before a mandate is thrust upon them, and should be made aware of the economic, legal, and safety consequences of that mandate. On Wednesday, July 12th, the Commission will once again bring the ordinance up for a reading and vote. The South Miami City Commission is trying to move a plan forward that would make their city the first in Florida to mandate all new homes install solar panels or other solar energy collectors and in the process take away the property owner’s rights to what they can and cannot install on their own homes. Even though I believe in the clean and green benefits of solar energy, I do not believe the installation of solar devices should be a government-enforced mandate. 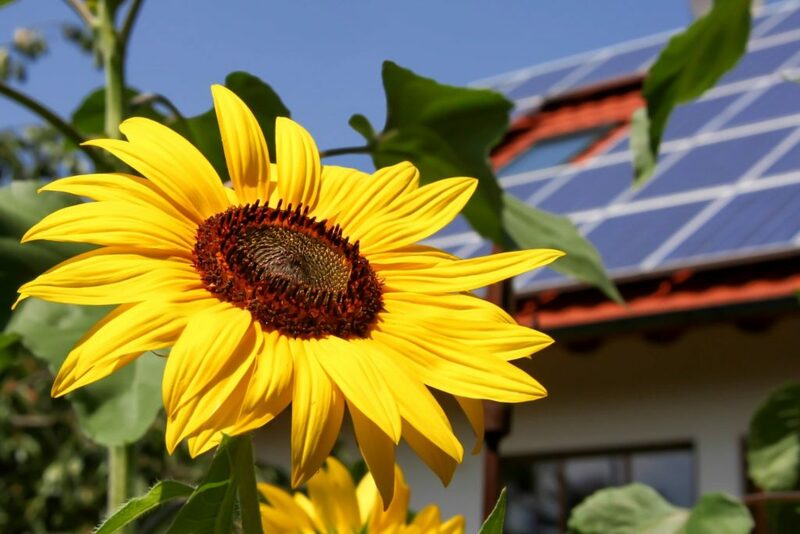 But that’s just what the South Miami City Commission will decide on July 12 when they vote on a ordinance that would require solar photovoltaic systems be installed on all newly constructed homes. Older homes would also be subjected to this requirement if more than 50 percent of its square footage is renovated. 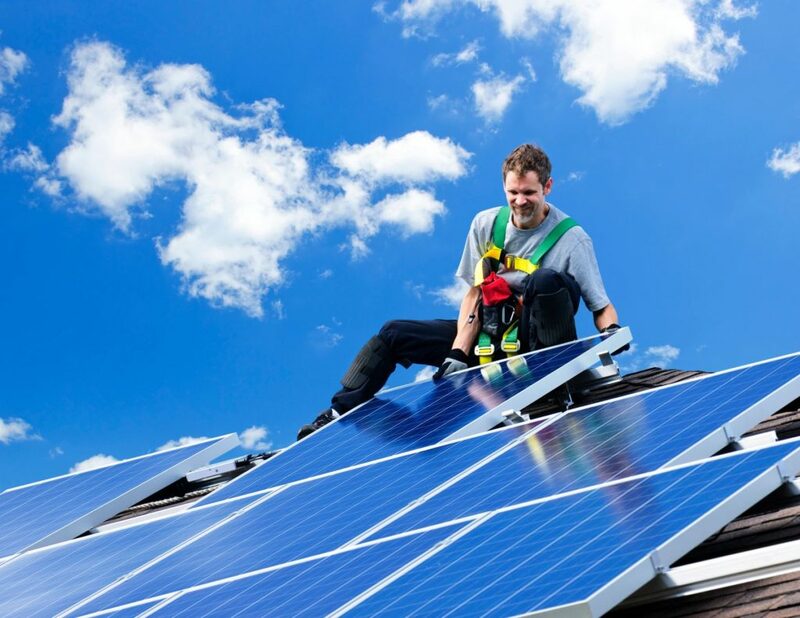 Today, there is nothing preventing anyone from stepping up to install solar energy devices on the roof of their new or existing home. In fact, it’s quite the opposite. South Miami Mayor Stoddard and his solar co-op friends are ready to sell to homeowners solar panel systems at a discount. And, there are federal and state tax incentives for those who choose to install solar on a home or business – choose being the key word. And while the cost of solar is decreasing, it still remains an out-of-reach luxury for many homeowners. Our county is facing an affordable-housing crisis and rising home prices are already shutting out many residents of South Miami. Hospitals, schools, and businesses will have a hard time attracting and retaining employees who will not be able to afford to live in the city where they work. This isn’t about taking on the power company – and if you’ve read my columns in the past, you know I am not always a fan of Florida Power & Light. It’s about the individual rights of residents in South Miami. Solar is an emotional choice, not an economic one. For Stoddard, solar is his personal crusade. But this ordinance crosses the line into forced conversion. So no matter how much they claim the proposed ordinance would “benefit the health, safety, welfare, and resiliency of South Miami and its residents,” I say this proposed ordinance is simply an attempt to strip homeowners of their fundamental rights – and should not even be considered until all of our South Miami elected officials install solar on their own homes, homes they rent out, as well on all city buildings. Last night the South Miami City Commission delayed voting on the solar mandate because of problems with the ordinance. FBAE is supporting the addition of safety and consumer protections to the ordinance to protect the residents of South Miami. South Miami Mayor Philip Stoddard and his fellow city commissioners are convinced about two things – first, that their small 12,000 resident town is destined to be flooded by rising sea levels, and second, that their plan to force residents to buy expensive solar systems will somehow prevent the ocean from rising. Nevermind that the very foundation of Stoddard’s deepest fear is based on questionable, ever-morphing scientific reports that can never seem to agree. Nevermind that sea levels rose in South Florida between 1930 and 1950, then dipped in the intervening years. Nevermind that naturally occuring, perfectly predictable king tides are to blame for virtually all of the current flooding and propaganda photographs touted by environmental activists who earnestly believe South Florida will eventually disappear underwater. Nevermind all of that, because South Miami’s city commission is going to save the day with a solar panel mandate rammed down resident’s throats without any consumer protections in place, and without any concern for how poor residents can afford it, or the safety of first responders. The South Miami City Commission has declared their solar mandate “reasonable and necessary because of local climatic, topological, and geological conditions.” The ordinance is due up for a second reading at tonights council meeting, and under city rules, a third reading could be waived, making it effective almost immediately. Stoddard claims he’s been working on the ordinance for more than a year, but there’s been no public hearings and no public vote on the issue. And some residents aren’t happy about how things are shaping up. 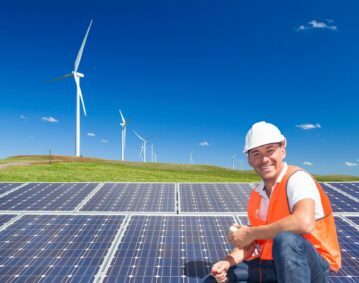 Indeed, the costs of solar ownership are one of the biggest reasons why solar hasn’t been widely adopted yet – consumers that do the math find they’ll actually lose money over the long run when they factor in the cost of maintenance, insurance costs, and the loss of efficiency over the lifetime of the panels, which can degrade in power output over the years. Worse, leased solar panels might actually lower the value of a property, according to the Washington Post. Shady solar companies are starting to give the industry a bad name, by overpromising on performance, and understating the true costs of solar ownership. But despite all the evidence, Stoddard insists poorer residents in South Miami will somehow experience a lower cost of living. But if solar systems make solid economic sense, is an ordinance even necessary in the first place? Won’t homeowners adopt solar on their own if the numbers add up and it makes solid financial sense? If solar is such a big and obvious win for everyone, why force consumers to buy it? The simple fact is that solar isn’t a neccessity, like a front door, a roof, plumbing, or electricity. Solar systems are more like any other aesthetic option when building a new home, and in some circumstances, the tech might be right. But for Stoddard and his fellow city commissioners, driven by their fears of rising seas and the arrogant notion that they can stop it with an ordinance, are determined to make it a requirement. Family Businesses for Affordable Energy (FBAE) today called on the City of South Miami to add consumer protections and conduct an impact study as part of the city’s new ordinance mandating the installation of rooftop solar collectors on all new residential construction and expansions of existing residences. The proposed ordinance will be voted on at a public hearing by the city’s Planning and Zoning Board on June 13, 2017 before final approval can be made by the City Commission. This ordinance only “provides minimum specifications for installations, including specifications for the system’s capacity, location, and safety requirements.” The ordinance offers no consumer protections for homeowners when they purchase solar panels and no impact study has been completed to show how the ordinance will affect South Miami. If the ordinance is passed by the South Miami City Commission, it will be the first city in Florida to mandate the installation on all new residential construction and expansions. This influx of new solar collectors could attract predatory companies seeking to take advantage of the new mandate. In Florida consumers have seen the effects of fraudulent companies attempting to take advantage of solar customers. In 2013, BlueChip Energy sold units with counterfeit UL markings which produced electricity far below its nameplate generation capacity. After the company was liquidated to pay debts, BlueChip customers were left with no remedy to recoup their losses. 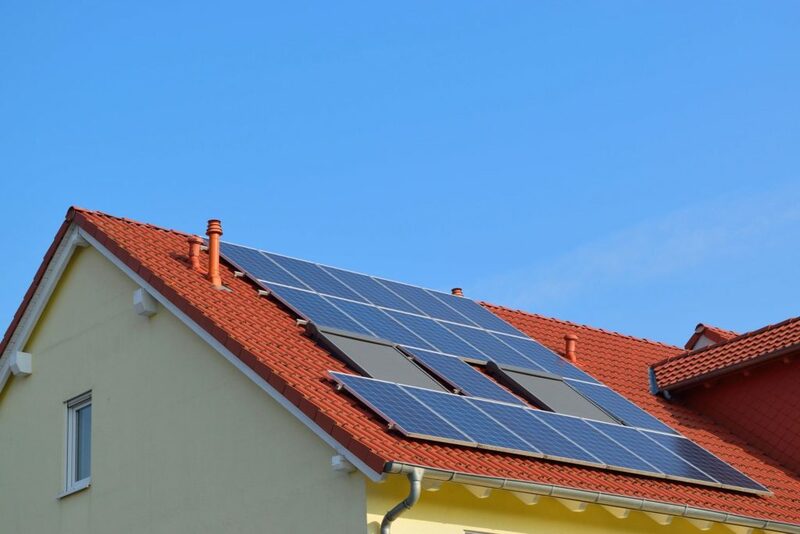 In order to avoid more fraudulent cases like BlueChip Energy, FBAE urges the city to conduct an impact study to determine how the ordinance will affect homeowners and to include consumer protections that provide transparency and ensure professional installation of solar panels to protect new homeowners who wish to comply with the proposed ordinance. More examples of unsafe solar panel installation and fraudulent sales tactics can be found at www.makesolarsafe.com. Family Businesses for Affordable Energy believes the only sustainable way to expand solar is to ensure consumer protections and stringent installation requirements are incorporated in policy. Family Businesses for Affordable Energy (FBAE) is a network of family businesses across the country supporting policies that lower energy prices for small businesses. Consistently a top cost that family business face is the price of energy, both utility and fuel costs. FBAE supports common sense policy solutions on the federal and state level that reduce the cost of energy for small businesses.